This is a top I finished many years ago. At that time in Greece it was difficult to find fabrics for quilting. Travelling was expensive, we did not know how to import and we had to wait for somebody of the group to travel abroad and bring us some pieces of fabrics that we were considering as treasures! Very often I asked my sons, students at that time, to bring me fabrics from Paris or London! We would not throw any inch of this precious fabric! 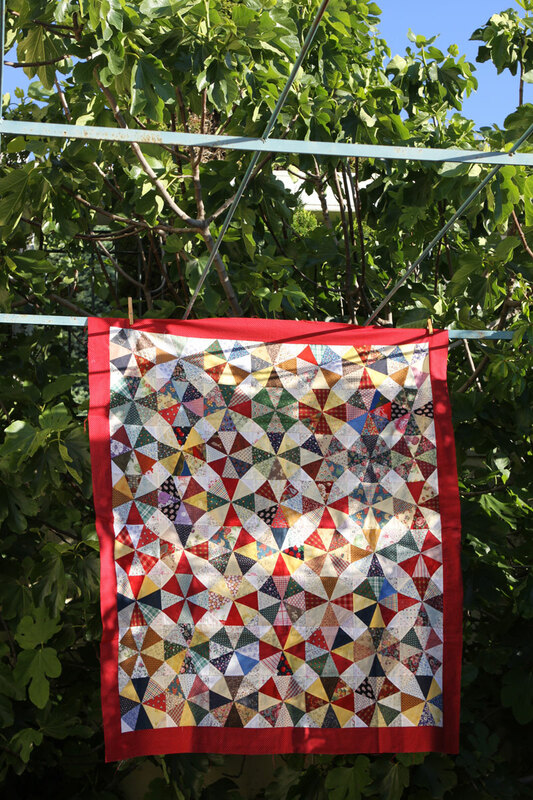 So I was collecting whatever scraps nice friends were giving me, and that's how I did this kaleidoscope quilt, without any selection of fabric colors or style. However, since then it remained in a closet with some other tops. I think that one of the reasons is that I was hand quilting all my works, and therefore advancing very slowly. 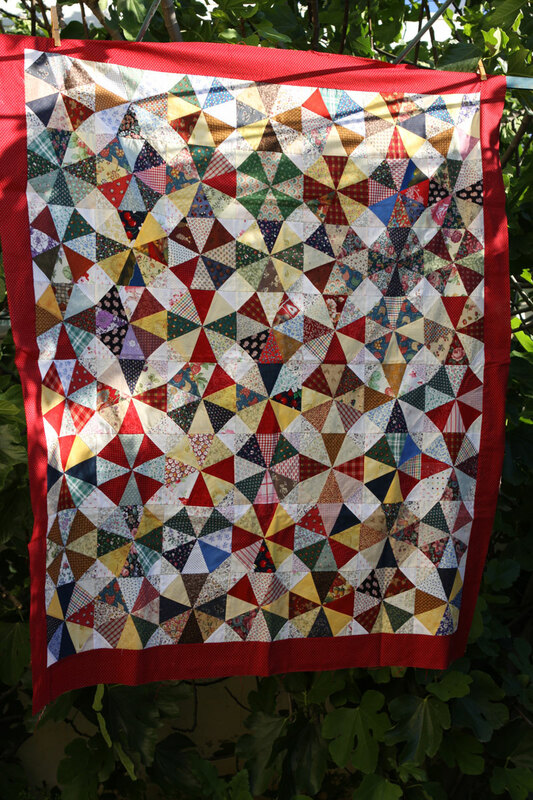 Now I thought of giving it to be machine quilted, so I added a sashing, choosing red color as "in the doubt add red". I like the result and it is now ready to be quilted. I think it is a fabulous quilt! Especially with the story behind it, about how hard it was to obtain your fabrics! So glad you have decided to finish it and have it quilted. 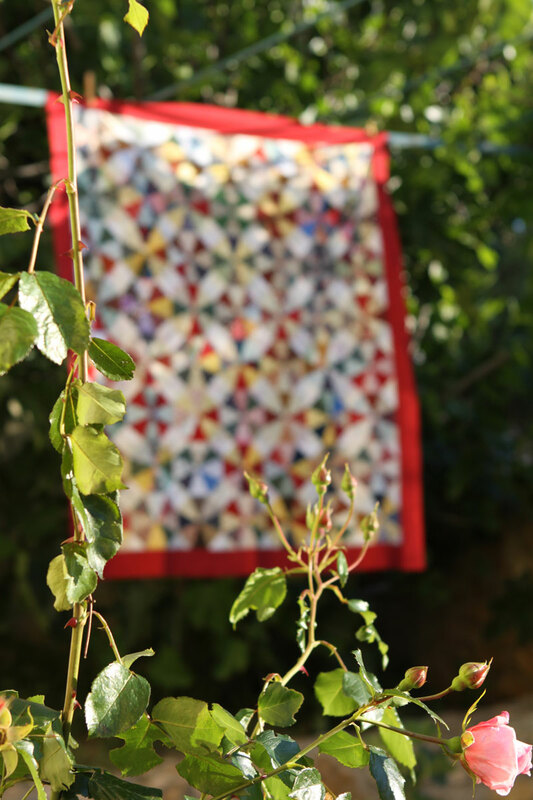 Do you still have trouble getting quilting fabrics? Such a lovely quilt ! 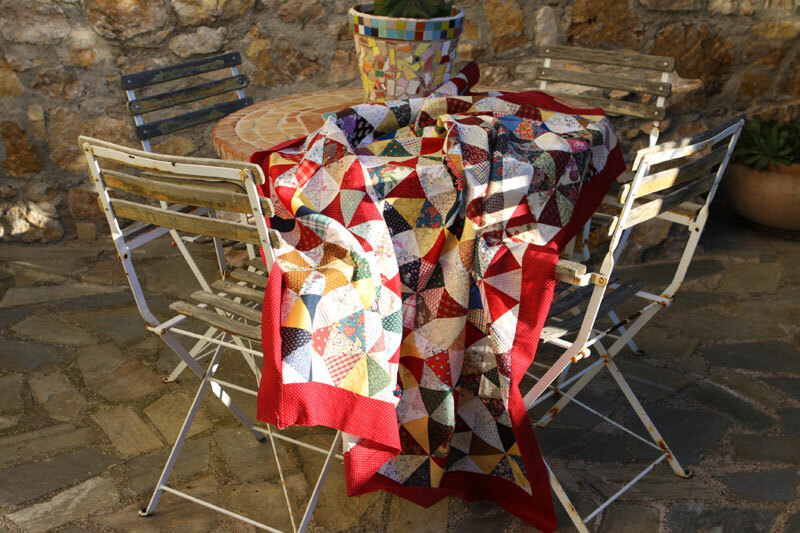 the red is perfect for this fantastic scrap quilt...and Bravo for the photos , all is very beautiful in a perfect harmony . visiting from anything goes Monday. How fabulous to resurrect something old. I can't wait to see it finished. This quilt is just wonderful. And such fabulous photos. This quilt is definitely a keeper. Christine, this quilt is beautiful! I can't wait to see it quilted! The quilt is lovely and the random placement of fabric keeps your eyes moving all over the quilt. It is a stunning quilt! This is beautiful! Lots of movement. You will really love it when it's ready to cuddle under! 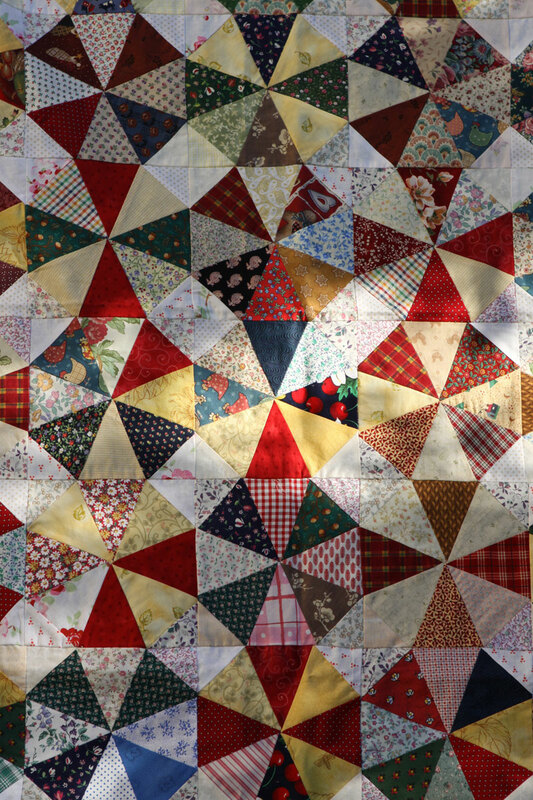 It's a beautiful quilt and totally reminds me of a kaleidoscope - it has such wonderful movement. Amazing piece, Christine. I love the design and the scrappy feel. This is going to make a beautiful quilt! Very nice. I like this pattern a lot. Great quilt. The color values are so good. Christine that is a beautiful quilt I love the look of kaleidoscope quilts. Very pretty! I love how this pattern looks like there are circles without any curved piecing. The red border finishes it off so nicely. Christine! This is a nice surprise. Since you live in Athens, as I do, why don't you join us to our second quilting meeting? 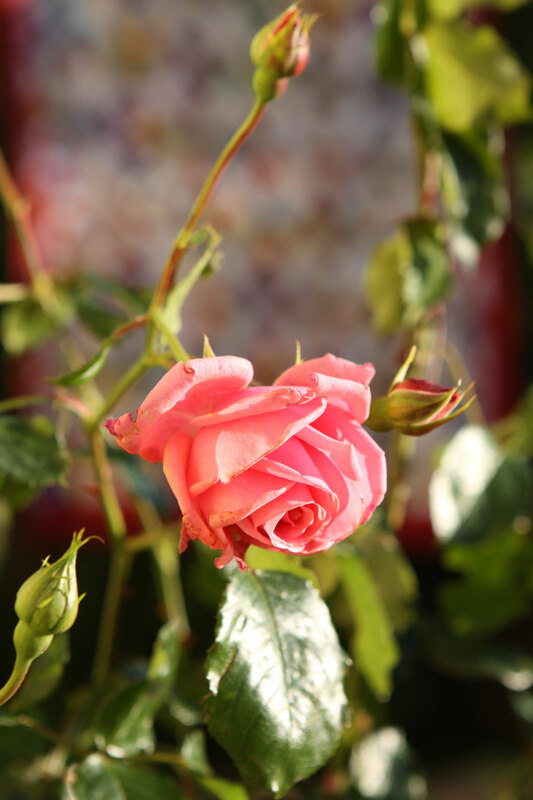 It will be held on Saturday, 21st of June at 11.00 ath the cafe "Metropol: which is situated at Metropol square in front of the Cathedral, where the square joins Pandrosou str. I will be more that happy to meet you there!!!! It is so beautiful! The red really adds to the rest of the colours, and you'd never know you made it without a plan. It will be fantastic when it's finished. Kaleidoscope is one of my favorite patterns - it has so much movement and reminds me of a stain glass window. Love your scrappy version. The red borders was a great choice. Thanks for sharing your story of it! It is SOOOOO lovely!!! This is going on my to-do list. Very VERY lovely! Great work and congrats on a lovely finish. Very nice. I like the secondary circular design that happens. Great job! I like all the different patterns it creates depending on how you look at which primary color! what a great kaleidoscope quilt, well done! BTW, the fig tree is growing bigger!!! 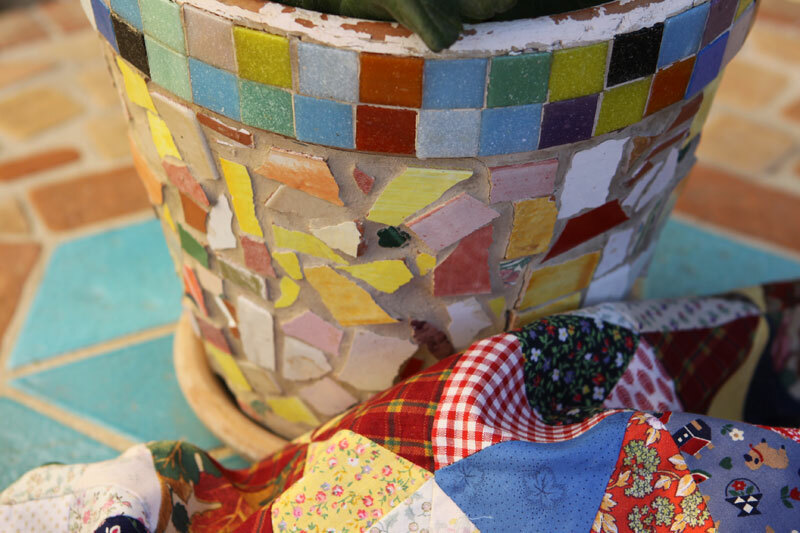 I love your kaleidoscope quilt and I just love to hear that you are in Athens. My hubby and I were there a few months ago before joining the cruise ship to cruise some of the Islands. We have very many happy memories of Athens and the Greek Islands. Beautiful, Christine. I'm so glad you finished it and showed it here. I've pinned it to my Pinterest page to remind me of the layout (alternating the position of dark and light in the blocks) for my kaleidoscope quilt. Wow! Can 't even imagine the contributions made for this quilt! Amazing and the photography is very lovely! Stunning! Thanks for sharing all these lovely pics! 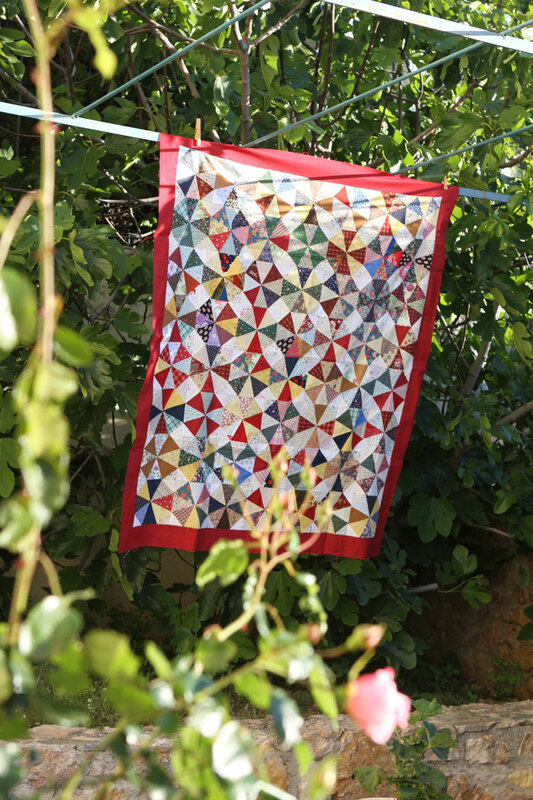 I love your kaleidoscope quilt! Such a beautiful quilt top. No one would ever know you had a restricted stash of fabric. You MUST get it quilted! It's far too lovely to be sat in a closet! what a beautiful kaleidoscope top! i'm glad you're sending it out for quilting; a special quilt like this one deserves a special finish. Love the quilt! I also really love the story behind the colllection of fabric bits. How precious they were, and also the friends and donors who helped contribute even a little bit!